Cloud-Native Containers are container platform technologies being run on and made secure in the cloud. Cloud-Native container platforms are not dependent on traditional IT infrastructure and can be customized to fit the requirements of the organization. Cloud-Native Containers are container platform technologies being run on and made secure in the cloud. Containers are solutions that compartmentalize the creation and deployment of various applications in one platform, making their workflow independent of each other, yet remaining under the management and supervision of one structure. 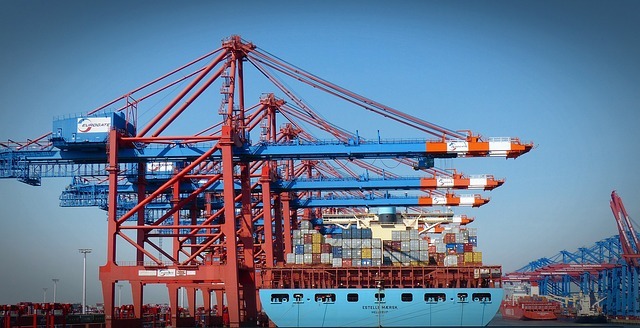 Container platforms have become popular among enterprises because they boost efficiency, maximize resources, reduce waste, and enhance the organization’s agility and ability to cope with digital changes. Cloud-native container technology increases these capabilities because it adds flexibility to the applications that are being developed on the cloud. Cloud-Native container platforms are not dependent on traditional IT infrastructure and can be customized to fit the requirements of the organization. Organizations can design and develop various apps on the cloud, segregated from each through their own container. Once these apps are finished, they are then deployed also through the cloud to their various online servers, supporting software and seeing to it that they run on scale. Though these apps may have different functions and processes, the cloud again adds a unifying factor that makes them more manageable by implementing common standards and deployment and operational procedures. Another advantage of cloud-native container platforms is that they build the applications only once, and then aftewards can launch them to operate independently. They also build a construct that shares the space equally between hardware and software. This structure is more efficient than the usual non-cloud-native container platform technology which has to ensure first that its software must be compatible with its hardware in order to function. Snowflakes would also have to be designed for each separate software environment. The categories that define cloud-native containers rely on their infrastructure and the way that it creates, deploys, and operates its various applications. Immutable Servers: It adds a higher layer of security by seeing to it that all aspects of design happen during the initial programming stages and not during the actual production. Coding, application updates, configuration changes, security patches, and all other elements that can determine the actual software should have been finished once the system goes into actual production. The finished product is then tested before it is integrated into the deployment workflow. This approach verifies the integrity of the system and reduces its susceptibility to compromise. Infrastructure-as-a-Service (IaaS) or Platform-as-a-Service (PaaS): Suppliers like Microsoft and Amazon build the actual physical machines that host the cloud and its container technology. Open-source Platforms are offered by individual developers who claim that, unlike the more structured providers, they can institute changes within the software at a faster time, e.g. a day as opposed to a week. These rapid adaptations can help small businesses become more agile and compete with the larger competition. How fast can the solution scale up should the need to design and deploy more apps arise? How far or how large can they scale? What would be the magnitude of their scalability? How long would it take for them to scale by 10 percent, 20 percent, 50 percent, or percent? How resilient is the solution? How adaptable is it to changes that are being done spontaneously, and as soon as the business objectives demand it? How much adjustment will have to happen within the solution? Will said adjustment cause a delay, and for how long? How cost-effective is the solution? Will there be additional costs as the app deployment increases or scales? How much investment are we looking at over the next 2-3 years? Is the cloud-native solution totally private? Or does it integrate with other structures creating a more hybrid setup? How efficient is the automatic load balancing function? What about recovery and/or adjustments in cases of failover? How flexible is the system when it comes to delivering results? Can it speed the pace? Can it cut production time and yet still provide quality outcome? Is the solution user-friendly to the DevOps team? Can it accommodate the innovations, testings, and other different processes that the DevOps team might introduce in creating and deploying apps? How many layers are there in the cloud-native container platform? Does your organization truly need them? Is there a support team in your provider that will help you understand how they can work to your advantage? The same holds true for the different subplatforms and resources found in cloud-native container technology.